America has more than enough food to feed everyone. But our abundance is accompanied by tremendous waste. By some estimates, nearly half of the food grown, processed and transported in the U.S. goes to waste. -from Feeding America's "Fighting Food Waste with Food Rescue"
The U.S. Department of Agriculture estimates food waste in the United States to be about 30 to 40 percent of the food supply. Desert Harvest fights hunger in the Albuquerque area in an incredibly cost-effective way, by making use of an existing but under-utilized food source: surplus food from restaurants, hotels, schools, and supermarkets that would otherwise be thrown away. There are many ways of addressing hunger in our country and in our city and state. One of those ways is to collect prepared food that is left over from restaurants, banquets, supermarket delis, nursing home kitchens and bring in a safe and efficient manner to soup kitchens and other operations that provide meals to people who need a meal. Some efforts are coordinated by the National Restaurant Association, the Food Marketing Institute and the Grocery Manufacturers Association via tbe Food Waste Reduction Alliance, a cross-industry effort by restaurateurs, supermarkets, grocery stores and grocery manufacturers to define opportunities to reduce food waste. In some ares of the country, sophisticated ways of collecting food have been developed. In New York City, the non-profit organization Transfernation uses technology (an app similar to Uber Eats) that allows donors to provide immediate information about the availability of surplus prepared foods. "In the last two years, we have redistributed over 52,000 pounds of food to countless shelters in Manhattan, Brooklyn, and the Bronx," the organization said on its website. Well, guess what? There is also an app available in Albuquerque. The service is offered by Food Rescue US, an organization that operates in 17 locations around the country. Read more below. In Southern California, the San Diego Unified School District has partnered with Feeding San Diego (a counterpart to Roadrunner Food Bank in Albuquerque) to create a food-rescue operation called Love Food Not Waste. The food comes from the school district's prep kitchens. In Las Vegas, Nevada, MGM has partnered with Three Square Food Bank to create a new standardized program for safe collection, preservation and service of surplus banquet food that will help reduce hunger in Southern Nevada. Check out this video. These are just a handful of examples around the country of innovative ways of rescuing prepared foods. 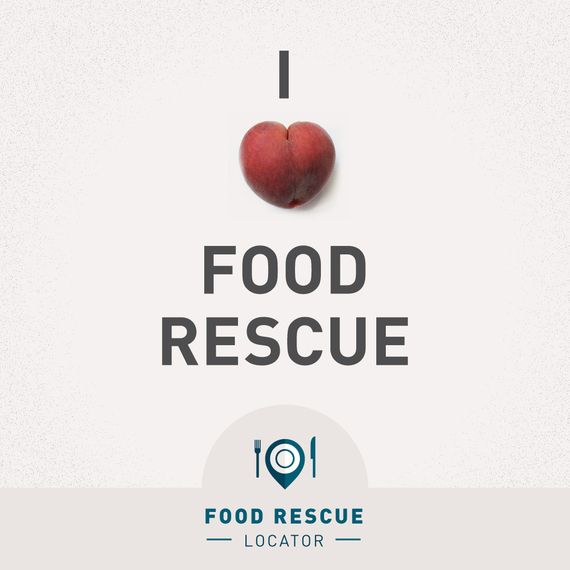 In Albuquerque, there are at least three food-rescue operations. 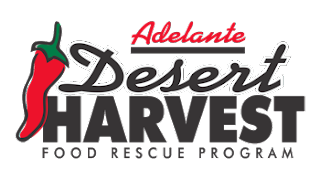 Desert Harvest, which is managed by Adelante/The Storehouse, was launched in 2001 to address two needs –- to alleviate hunger in central New Mexico and to provide volunteer opportunities for people with disabilities. Currently, over 80 restaurants, grocers, hotels, food distributors, schools, and caterers donate their over-run food to Desert Harvest recipient agencies, resulting in more than 1 million meals. "At just 4 cents per meal, the program is considered one of the most efficient food recovery programs in the nation! The donated food gets delivered to 15 area agencies that provide meals to people in need." Food Rescue US (Formerly Community Plates): The organization, which started in 2011, offers an app where restaurants, grocers and food providers can connect with agencies, community kitchens and food pantries. Albuquerque is of the original locations where Community Plates started. There are now 17 locations (14 cities and three universities) where the service is offered. The organization relies on volunteers to collect and deliver the food. "You’re just an app away from joining the food rescue movement, the organization said on its website. "The Food Rescue US app seamlessly connects food donors, volunteer food rescuers, and receiving agencies. Whatever role you play in the movement, getting healthy food to hungry people has never been simpler." Roadrunner Food Bank: Collecting prepared foods is a tiny portion of the food bank's overall food rescue operations. The effort was launched in 2014, in partnership with former Mayor Richard Berry's administration, Ovations Food Services, Noon Day Ministries, St. Martin’s Hospitality Center and Joy Junction. The initial effort involved the rescue of food that was left over from the Albuquerque International Balloon Fiesta and from the Albuquerque Isotopes baseball games. In 2017, Roadrunner rescued 6,280 pounds of prepared foods. The food banks is both contacted and solicits prepared foods from restaurants and other locations that have surpluses. "We follow many food safety guidelines as we comply with all food regulations by FDA, USDA and AIB," said Andy Knowlton, Food Rescue Manager at Roadrunner Food Bank. "We are audited as any other food handling facility is audited."